In with the old and out with the new. That seems to be a common trend with technology today. Almost everyday the technology industry is flooded with new devices that are more advanced, affordable and efficient than the last. From dial phones to cell phones, computers to laptops and boom boxes to Bluetooth speakers, the evolution of technology is inevitable. The same holds true with 3D printing and printers. This technology, which was invented in 1984 by Charles Hull, has spent two decades growing and evolving. The first 3D printed organ was implanted in a human in 1999 and by 2006 the first SLS machine became commercially available. 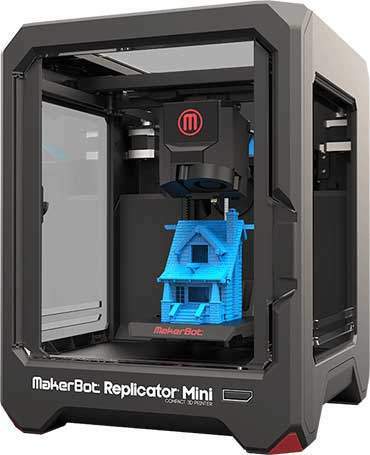 Fast forward 9 years to the present, and the MakerBot Mini Compact 3D printer, which allows real-time prototyping and 3D printing of custom models, parts and prototypes, is hitting the retails shelves at your local Sam’s Club at a price point that any small business can afford. 3D printers are more than just another piece of technology; they are an absolute game changer. From prototyping anatomical structures of the human body, to creating 3D real estate models, the sky is the limit when it comes to the possibilities that are made available with 3D printing. Have a hankering for dessert? Use a 3D printer to create a cookie with all of the nutritional substances specific to your body. Maybe you need new accessories? Print yourself a pair of earrings or a simple bracelet. 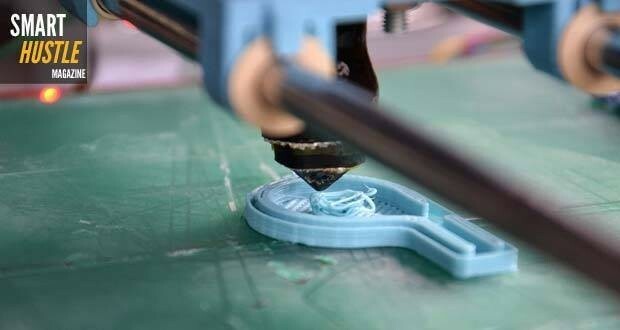 The point is that the advances that are being made with 3D printers are not only significantly beneficial to small businesses, but are expected to completely change the way that commerce works in the future. See how #3dprinting is changing the way that #business and #commerce work! LiL SPACES uses 3D printers to create their “Sophistifun” (sophisticated and fun) kids products, which are nothing less than amazing. 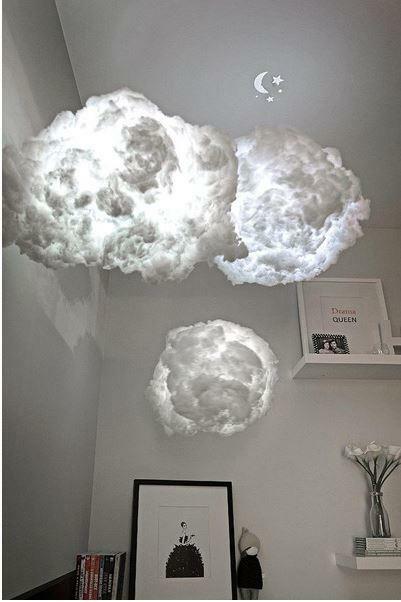 Their Cloud light can turn any ordinary room into a dreamy ambiance. And now, with the help of 3D printers, LiL SPACES has been able to produce an acrylic cap for their cloud lights that projects a crescent moon and stars on the ceiling as the light shines through. Since the acrylic cap was customized down to the millimeter, using a 3D printer was the perfect solution. Not only does it bring the clouds to life, but also adds a finishing touch to making it feel like you’re in a faraway dreamland. Currently, LiL SPACES creates the designs for the cap, models them in 3D and provides their local 3D Printer with the necessary STL file for printing, but they intend to purchase a 3D printer in the near future so they can provide custom ceiling projections. Another company that has found use for 3D printers is 3D Scan Experts Ltd.. The online property marketing company handles commercial and residential real estate, construction, hospitality and insurance and provides 3D models of existing properties. They use these models to market the properties online via social media sites such as, Facebook, Twitter, Google+ and LinkedIn. 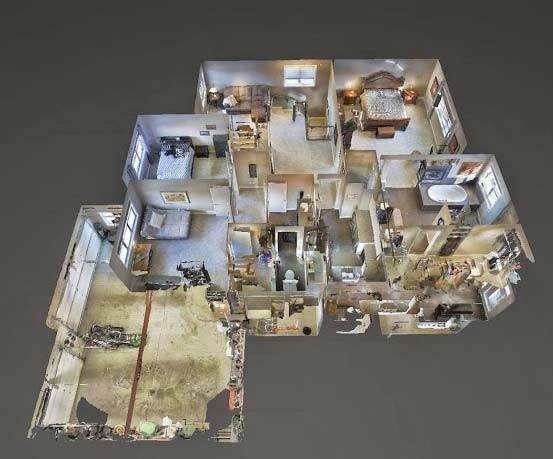 The 3D images give prospective buyers the opportunity to have a better feel on size and space in a given property. In addition to providing 3D images, 3D scan Experts Ltd. has also used their 3D models to create video tours. This gives prospective buyers the opportunity to see the property without actually having to be on the property. “The ability for people to see and touch the floor plan of properties that they are interested is an absolute bonus”, states 3D Scan Experts Ltd..
SkySpecs is quite comfortable with using 3D printer’s, as they use it almost daily to design new parts and prototypes for their intelligent drone technologies. 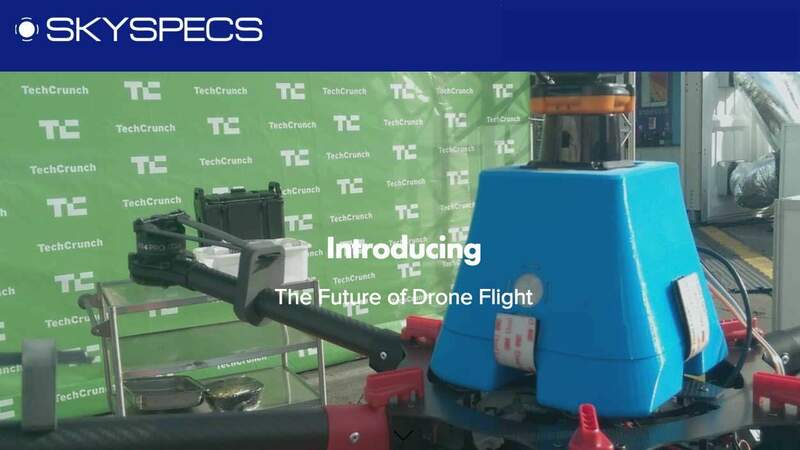 Their mission, as a team, is to make it easier, safer and more productive for businesses to use drones to their benefit. One of their first products, Guardian, allows drones to be able to automatically dodge obstacles in its way by temporarily taking over control from the pilot until the threat has been avoided. This enables businesses from infrastructure inspectors to Hollywood filmmakers to use drones to get aerial data faster and safer. SkySpecs finds that there are still some limitations to using the 3D printer, such as overall quality of the printed parts as well as maintenance, however, the use of 3D printers has allowed SkySpecs to shorten the feedback cycle of design and accelerate their business and development faster than ever before. Kevin Caron Studios, LLC, has found multiple uses for a 3D printer in his business. As an artist, Kevin creates 3D pieces of artwork as well as 3D printed jewelry. His pieces are nothing short of gorgeous and truly unique. In fact, Kevin was able to create an entire new line of jewelry which can be found all over the country. In addition to using 3D printers for his sculptures and jewelry, Kevin has also found other everyday uses for it. For example, if he needs any parts or pieces, he simply uses the 3D printer to create them. “Sometimes I need small pieces and parts and can print them using a 3D printer. I recently made a stand for the small screen that provides the display for my large 3D printer”, says Kevin. He also uses the 3D printers to create models for potential patrons as a presentation of what to expect as well as a proof of concept to confirm that his models are physically viable. With his business revolving heavily around 3D printers, Kevin believes that there is still a lot of growth to be had with the printers. It can require a lot of time and patience to learn how to operate a 3D printer and learn how to use CAD to create your own designs. There is no denying though, that it is an amazing piece of technology that is creating amazing opportunities for businesses today. As 3D printers become more affordable and more accessible, it seems as though there will be a rise in the number of businesses using them in their day to day productions. Not only for existing businesses, but for new and innovative businesses built and inspired by 3D printers. For businesses that are looking to explore using 3D printers, you can check the shelves of your local Sam’s club for the MakerBot printer, or walk into your local Staples and explore their new 3D print centers. The sky, and your imagination, are the limit when it comes to 3D technology and, as we’ve seen over the last two decades, it’s making the unimaginable possible.